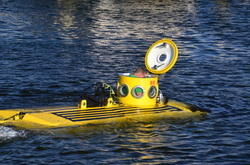 DDW-002 Two Person Workclass submersible recently purchased by Underwater Vehicles Inc. and partner Australian Oceanographics. This incredible lightweight vehicle rated to 2,000 is available for charter, short or long term as well as numerous projects planned by UVI and AO. 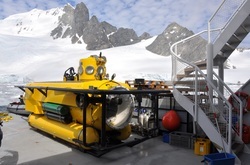 Perry 1201 - Antarctic Exploration early this year. Incredible multi-dives under the Antarctic ice. Incredible marine life. Perry 1201 - Ventura California for week-long testing of electronic equipment in California for a US company. 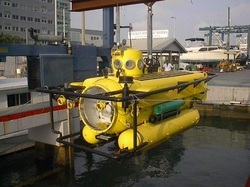 Unfortunately this contract is confidential and we can not disclose any information but the Perry sub performed perfectly in rough sea state conditions and the job was completed on budget and on time. November 2013 - TBS Japanese TV filming off Florida east coast. Standby for updates.